The "Blitz Metálico" (Metallic Blitz) section was very important during the 80's, since it was the only divulgation on the genre published in a national newspaper the Blitz journal. 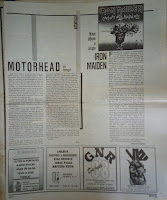 Was (and still is today, now in magazine format, released monthly) a national weekly newspaper (out every Tuesday) dedicated to music and to the youth culture, it was first published on November 1st 1984. 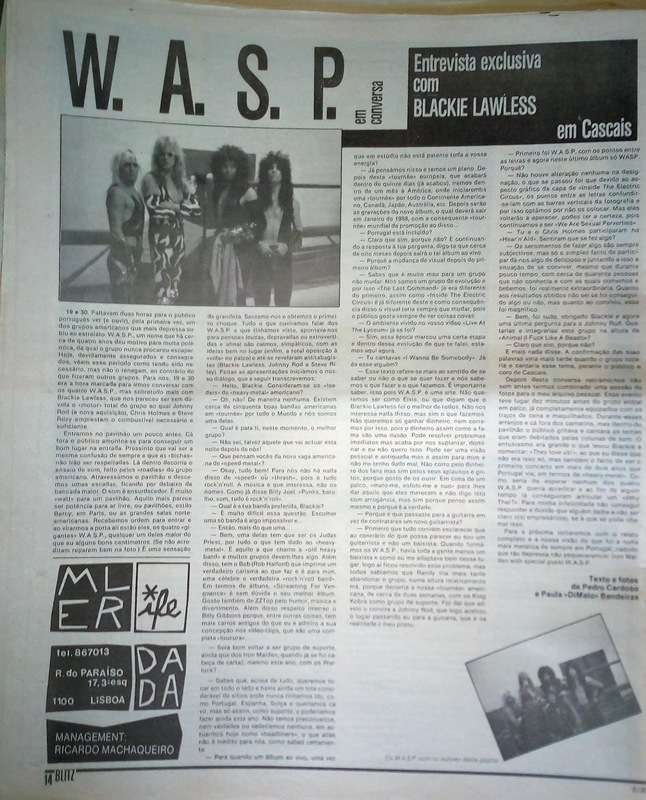 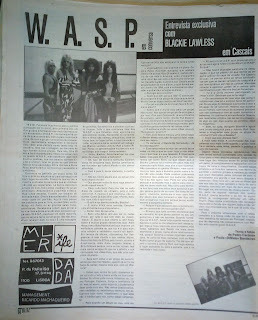 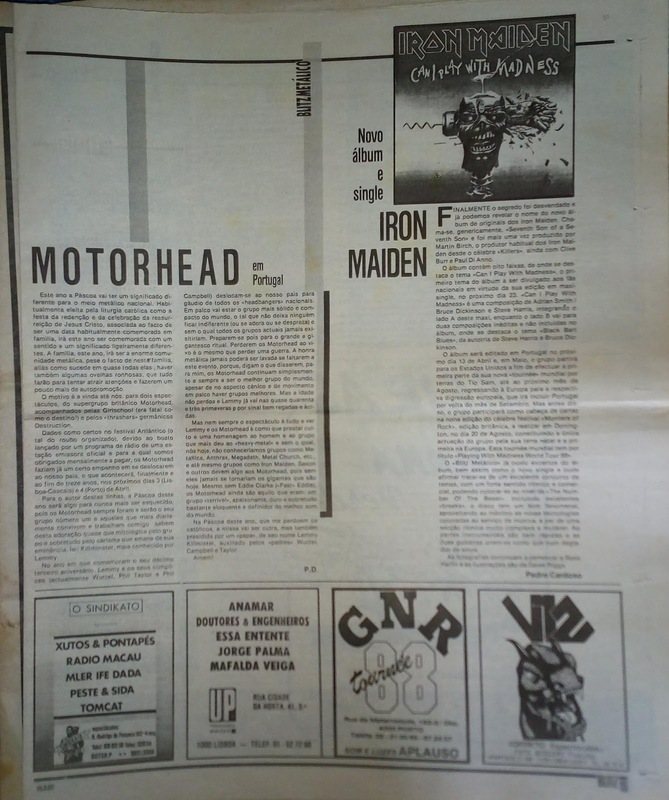 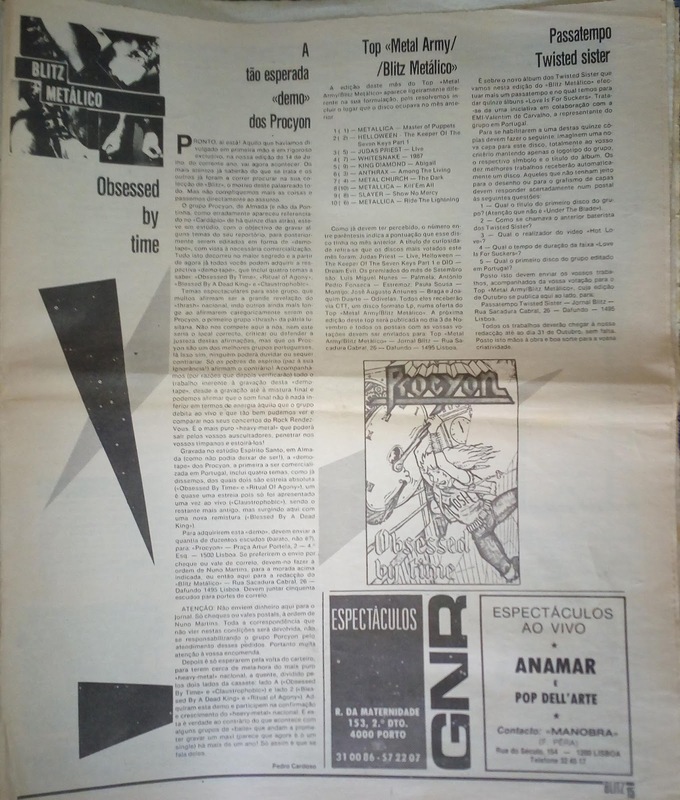 Pedro Cardoso, a legendary music journalist (Sagrada Escritura fanzine/ Defensores da Fé Fan-Club and Metal Army) had wrote to the newspaper a few times before and from October 1st 1985, biweekly (later weekly), began to promote the Heavy Metal (national and international) in the section of "Blitz Metálico", until the early 1990s.